Every couple is different. Some will be willing to do unusual things. Some will want to keep it simple. In the end, the couple is always right in however they choose to portray themselves to the world. For this picture the couple came to me with a clear idea of what they wanted. 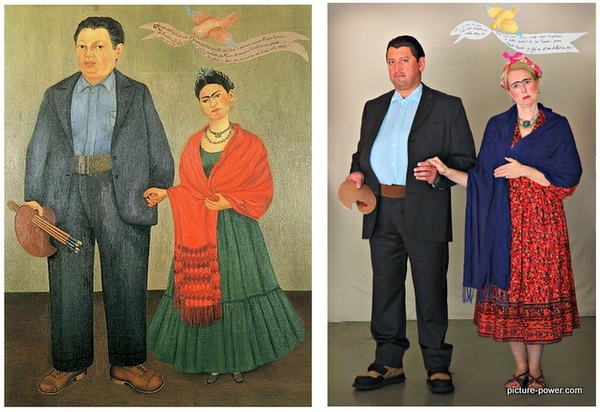 The photo of Diego and Frida is special to this couple and they wanted to recreate this painting. There is an endless supply of paintings and photos that can be recreated. By offering your couple these types of engagement photo ideas you are letting them know that you have experience and that you are willing to think outside of the box to give them pictures that uniquely represent their relationship.